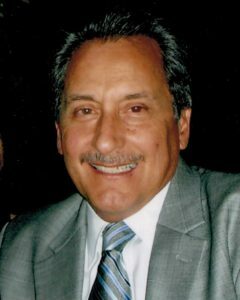 Our Team | Professional Investigators Inc.
Daril Cinquanta, President of Professional Investigators Inc.
Daril is a retired Denver Police Detective who solved many major high-profile criminal cases during his career. His most notable case was the 1975 bomb plot case involving an early militant group that targeted Denver Police substations, headquarters and the International Association Chiefs of Police Convention. This terrorist group was responsible for many Colorado bombings. Arrests were made, bombs were seized and the bombings in Colorado ceased. Daril is the recipient of many medals, awards, and commendations, including the Medal of Honor, Police Service Cross for Valor, and the Purple Heart. Daril has been President of Professional Investigators Inc. since 1990. Professional Investigators Inc. consists of former law enforcement officers and those of legal and private investigative backgrounds. Our staff includes a pilot, an attorney, and nine investigators with over 80 years combined experience. We also have one investigator who is an expert in insurance fraud, and a legal advisor with extensive experience in public law enforcement and private investigations.